With ShakeUp Factory, you gain first-hand access to the most innovative startups & projects in the FoodTech market worldwide. Join a large community of international investors and connect to breakthrough and talented FoodTech projects. We deliver insight and early access to a qualified deal flow of promising entrepreneurs. We take care of your investments by growing the startups you have invested in. Take your seat in our ecosystem to meet our startups in the heart of the FoodTech scene. 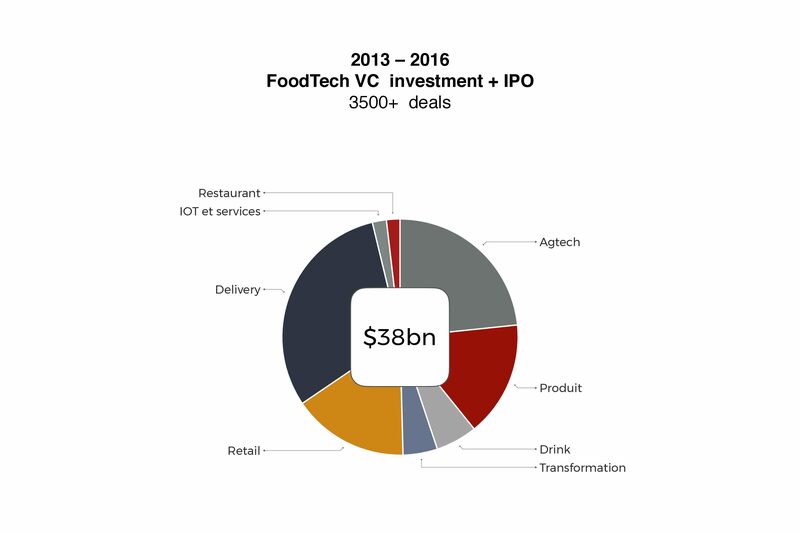 With close to a cumulated $39B raised by 3500+ startups over the past 4 years to private investors (BA’s, VC’s, corporations and IPO), FoodTech is not only a hot topic, but a new food market by itself. If delivery and e-commerce attracted the majority of the capital invested by 2013 to 2015, most of the money is now flowing to innovation in products, ingredients and smart Ag, showing signs of a profound revolution to come all along the value chain.